Everything from ancient archaeological records to mud-ash graffiti has been unearthed by researchers when counts towards some truly significant and mysterious hidden texts. Some are accidental finds while others are the discovery of thousands of hours of manpower and research, leading to some spectacular insights into the minds and viewpoints of those that came before us. With the advent of mode technologies like multispectral imaging, X-rays, and robots, we are now finding more of these hidden gems which could improve our understanding of the world by researching these mysterious hidden messages. “The first gun is fired. Slavery is dead. Thank God we have a president who at least will try.” This message was inscribed into the pocket watch of President Abraham Lincoln on 13th April 1961 by watchmaker Jonathan Dillon. This Irish immigrant carved this hidden message while repairing the watch on the day Confederate forces fired on Fort Sumter that sparked the US Civil War. The message was only found in 2009 when the Smithsonian opened the pocket watch, 148 years after being written. 176 vellum leaves make up the Codex Zacynthius found in 1861 under a 13th-century text by Evangeliarium from the Gospel passages. Codex Zacynthius is said to be a 7th-century account of the Gospel of Luke and is named from the Greek island it was found in, Zakynthos. In 2014, Cambridge University raised £1.1 million to buy the Codex Zacynthius to use multispectral analysis on the hidden texts which are believed to have a number of secrets. 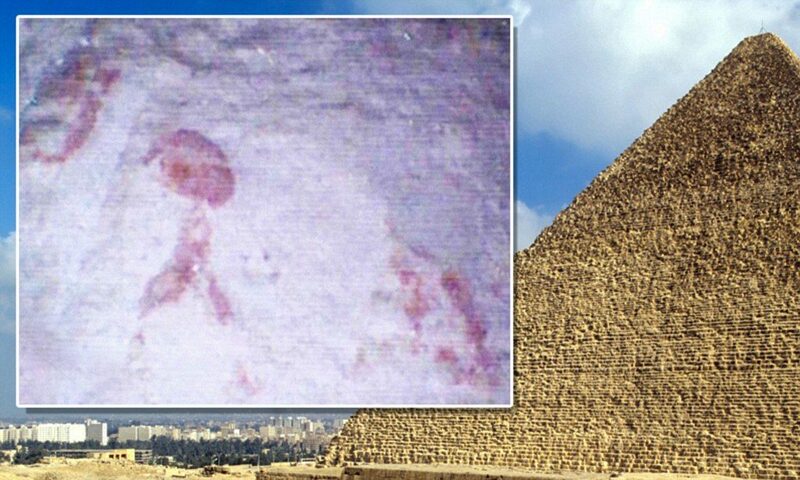 Previously unknown red hieroglyphics were found by the ‘Djedi’ robot in the Great Pyramid of Giza when archeologists used the robot to further search the mysterious narrow shafts first found in 1872 by Rudolf Gantenbrink in 1993. There are two mysterious shafts in the pyramid, the first connects the King’s Chamber to the outside and the other connects the Queen’s Chamber and goes deep into the pyramid. The Greek Orthodox Patriarchate’s library in Jerusalem contains a 13th century AC prophetic book from the old testament which contains a 5th century BC drama by the Greek Euripides. 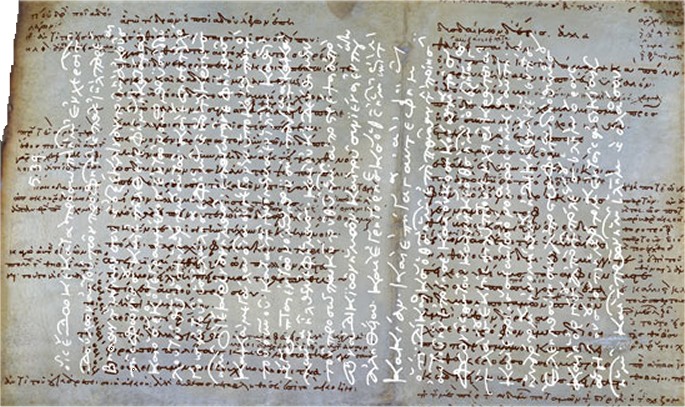 In 2013, the hidden text was discovered using multispectral imaging as the text was washed off and reused and also contains other ancient annotations. 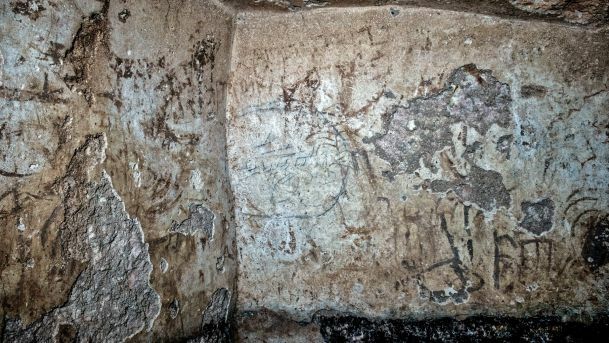 In Jerusalem, construction workers found hidden graffiti from the ancient 2nd Temple era of Jerusalem. This ancient graffiti was found in a Mikvah (ritual bath) cave under a school in 2015. The inscriptions were found to be Aramaic, written in a mixture of mud and ash and are difficult to decipher with one name found to be ‘Cohen’. 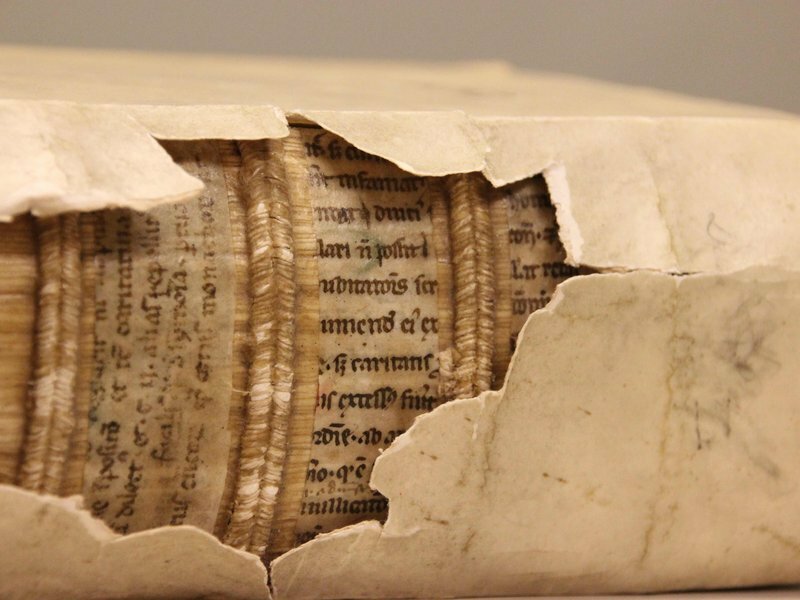 With the latest macro X-ray fluorescent spectrometry, researchers have found glimpses of medieval texts in the covers and spines of books printed in the 15th century. The reason for the ancient texts used by bookbinders was to improve aesthetics as handwritten manuscripts were becoming outdated due to the popularity of printing presses. Researchers have found texts dating back to the 12th century and have collected material for 3 full manuscript pages from an 8th-century scholar and monk called Bede.